Authorised by the Financial Conduct Authority. Free to use and Apply. Below, are some of the Payday Loan Short Term Lenders for Bad Credit Loans that you will find on our Compare Lenders page where you can use our filters to help you decide which company to apply to so that you can make an informed decision as to which you would like to fund your loan. Or, if you are unsure, why not make an application using our own LenderSeekers Matchmaking Service and we will try to find a Lender for you? If this is what you would like to do, please APPLY HERE or use the button on the right. WARNING: Late repayment can cause you serious money problems. For help, go to www.moneyadviceservice.org.uk or call StepChange on 0800 138 1111. Sunshinecredit.co.uk is one of the best Payday Lenders for Bad Credit Loans in 2017. The brightest new Payday Loans Lender to the Market with the lowest interest rate around at only 0.4% per day. SunshineCredit.co.uk is a vibrant, professional and great alternative Payday Loans Direct Lender in the UK. The PiggyBank system is 100% online, constructed using industry approved, secure and enduring software. Consequently, PiggyBank is one of the most innovative short term lenders out there. Miss Payday is one of the highest recommended Bad Credit Loan Lenders in the UK Short Term loans market catering for your emergency financial needs. Compare New Payday Loans and Payday Loans Direct Lenders and see we are the best! Oakam provides straightforward and simple financial services for people who find it difficult to borrow from banks. An instalment Lender offering loans from £1000 to £5000 which you can pay back over 12 to 36 months. One of the best Payday Lenders in the UK offering Instant Payday Loans from a Direct Lender. As a payday loan direct lender, TheQuickLoanShopLtd.co.uk offers an entirely online one-stop shop for your short-term borrowing needs; resolve your immediate cash advance problems with our solutions as your new payday loan lender in the UK. SafetyNet Credit is a smart lender, providing you with a credit limit (up to £500) available to use whenever you need it. Uncle Buck Finance LLP is one of the UK’s leading short term instalment payday loan providers with a fully operational UK customer service team. We are a direct instalment payday loan lender so you know where you are with us! A Payday Loan is a Weeloan! Weeloans specialises in offering affordable, same day loans for those with a Bad Credit History. A new payday loan lender with a difference; we actually care! Receive alerts for recent lenders and best offers! How can a Payday Loan from a Direct Payday Loan Lender in the UK assist you? Are Payday or Short-term loans a viable solution to short-term emergency funding needs? What is a Payday or Short Term loan or Instant Payday loan? It is typically a cash advance loan (usually for those with a Bad Credit History) designed to be repaid on your next payday or over a relatively short time period. It is usually a small value loan of between £100 and £2000 and is typically deposited into your Bank Account on the same day; the 'instant payday loan'. There has been much criticism in the Media in recent years and there has been very good reason for this; some payday loan Lenders were too robust and charged too much for their service. Happily, the Financial Conduct Authority has changed all that and has removed the worst offenders from the marketplace and is strictly regulating the Lenders that you now have access to via this Price Comparison Website - or Payday Loan Comparison website. As a rule, it is very important that you ensure you only make applications to registered and regulated payday loan Lenders, preferably members of a Trade Association such as the CCTA, for example and ideally following research on a payday loan comparison website such as this one. With tightening budgets affecting many, especially those who have been refused credit elsewhere due to bad credit histories, payday loans are increasingly seen as the solution – and they can be, provided they aren’t used every month to make ends meet nor used to repay debts from other loans. Short-term loans or instant payday loans as they are sometimes known should be seen as an emergency need to top up when an unbudgeted bill arises and repaid as quickly as possible; the sooner you repay, the less your interest owed will be. We always advise that you speak to your Lender before taking out a loan and ascertain whether you can repay early with zero financial penalties. It should be possible and will save you a lot. For those with a bad credit History, they are a viable solution. How do you choose the right Payday Loan Lender? To compare Payday Loans and/or Lenders is a vital part of deciding who to apply to. When choosing a payday loan lender - one that will directly fund your loan rather than a Broker - it is important that you consider not only all of the benefits that the Lender may offer, but also the additional charges or fees. For instance you may need to borrow £100 and one lender offers you the cash the same day but they may charge you £5 to process a faster payment to your account and they may deduct this from the loan amount, meaning you will only receive £95 and have to repay around £124. You may find another lender who will offer the £100 via a BACS payment which is free of charge if you can wait slightly longer for the loan your repayment will still be £124 but you would have received more. You can see the benefits. Do you choose a new payday loan lender? Or a long-standing company with an well-earned reputation? (We answer this question in our Additional Information Section). APR rates can also be misleading as they are calculated for borrowing over 12 months, but a payday loan is designed to be borrowed over - usually - 30 days. However, they are all relevant to each other and you will find the rates vary by many thousands of percent. Finding out which Lender is cheapest is where we can help you; our Compare Lenders page helps you identify which Lender or Loan will be cheaper for you. We recommend ensuring you choose a lender that is signed up to the Good Practice Charter too as you will receive fair and just treatment from them. You should also ensure the lender has a current Consumer Credit License, this number is usually at the bottom of the website in the Legals section. Remember: Always Compare Payday Loans and Lenders (and Short Term Loans). We can show you established and new Payday Loan Direct Lenders, some Lenders will also have no Credit Checks who will accept a Bad Credit History or CCJ's. What happens if I cannot repay my payday loan? Failing to make your payment on time will obviously not help you improve a bad credit rating an usually results in extra interest and charges being applied to your account. Most lenders will also look to take further steps, including legal action, if you continuously fail to meet your repayments or try to find a solution to the debt via a Payment Plan of some kind. The amount of fees and additional interest varies from lender to lender; this should be clearly displayed on their website and it is your responsibility to ensure you have read and understood these charges. Generally, repayments on your loan are taken from your bank account automatically via a process known as Continuous Payment Authority (CPA) - this is an automatic debit from your debit card. Should you have insufficient funds in your account at the time the payday lender attempts to debit your account, you will incur additional charges. Additional charges and interest will result in your total balance due to increase - sometimes significantly. Therefore, you must try your best to repay your loan on time. Every payday lender operates differently and use varying methods to calculate late fees, default charges and additional interest. Speak to them. Let them discuss your options and how they can help you. If you discover that you cannot repay, contact the Lender that funded you immediately and discuss your situation with them, explaining clearly what has changed and offer your proposal for repayment under a Payment Plan. If you are unable to reach an amicable solution, please contact moneyadviceservice.org.uk or any debt advice charity and discuss with them your situation; they will give you free and impartial advice. How does a Payday Loan affect my credit score? Currently, the majority of payday lenders report your borrowing and repayment history to the various Credit Bureaus. If you continue to avoid a debt or fail to make repayments, this will reflect negatively on your credit score and you will find it more difficult to obtain further credit in the future. For relatively small loans, the implications of a negative report from a payday loan lender on your credit score can be severe so it is definitely not worth the risk. 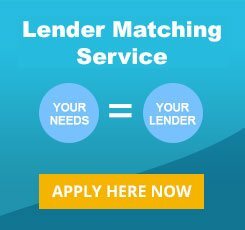 There are some Payday Lenders who prefer to use their own systems to calculate a person's creditworthiness to borrow - as such, a decline from these Lenders will not be seen by anyone else and so, for many with a bad credit history, this could be the better option when choosing an instant payday loan lender. Can I roll my loan over, or extend the terms? Generally, we do not recommend rollovers or extensions. If you feel that you require more time to pay then you should contact your lender immediately. For the lenders that offer rollover options, you will usually be charged one months interest and possibly an extension fee. In some circumstances, lenders may automatically roll your loan over until you instruct them otherwise - you should check this within your payday loan terms and conditions. New guidelines insist that a customer cannot roll a loan over more than 2 times. Again, avoid this if you can as this is where the payday loan can become prohibitively expensive. The best advice available is that you only ever borrow what you need and not a penny more and that you repay the loan when you agree to. It can be tempting to borrow more than you need, particularly with lenders that offer varying credit limits however you must remember that you have to pay it back - with interest. If you take out a Short Term Loan and can pay it back early, do so because it will save you at least 0.8% in interest charges per day. What are the alternatives to payday loans for a bad credit history? For the most part, people looking for payday loans as Bad Credit Loans are struggling financially with a bad credit History, often through no fault of their own. This could be an indication that you need more structured financial help and you may find it more useful to speak to a debt support charity. If you do, then speak to your family and friends first, everybody falls into some financial difficult at some point in their life and there is no shame in asking for help.